Jio offers 1.5 GB of internet per day for 28 days with a recharge of Rs. 149. Telecom companies – Reliance Jio, Bharti Airtel and Vodafone are offering high speed 4G internet data plans for their pre-paid customers. The recharge plans being offered by these companies for use of 1.5 GB of high speed internet per day start from Rs. 149 for 28 days. Rs.149 recharge plan is being offered by Reliance Jio. Aggressive pricing of mobile data by billionaire Mukesh Ambani-led Reliance Jio Infocomm, which forayed into the telecom space in 2016, has led to increased competition in the country’s telecom sector. Rs. 199 recharge plan: By recharging with Rs. 199 on Airtel’s pre-paid connection, subscribers get to use 1.5 GB of high speed internet data for a period of 28 days. Along with internet, subscribers also get unlimited free local and STD voice calls and 100 SMSes per day. Rs. 448 recharge plan: Under Airtel’s Rs. 448 recharge plan, subscribers get to use 1.5 GB of high speed internet data for a period of 82 days along with free unlimited free local and STD voice calls and 100 SMSes per day. Rs. 199 Prepaid SuperPlan: Under Rs. 199 recharge plan, Vodafone customers get 1.5 GB of 3G/4G internet data per day along with free STD and local voice calls, free outgoing and incoming roaming calls and 100 SMSes for a validity period of 28 days. Vodafone customers also get a 100 per cent cashback if they recharge from mobile app MyVodafone, according to the company’s website – vodafone.in. Rs. 458 Prepaid SuperPlan: Under Vodafone’s Rs. 458 recharge plan, its subscribers get 1.5 GB of 3G/4G internet data for a day, free local, STD and roaming voice calls along with 100 SMSes for a period of 84 days. Vodafone customers also get 100 per cent cashback if they recharge from MyVodafone App. Rs. 529 Prepaid SuperPlan: By recharging for Rs. 529 on Vodafone connection, its subscribers can use 1.5 GB of 3G/4G internet data for a day, free local, STD and roaming voice calls along with 100 SMSes for a period of 90 days. Rs. 509 Prepaid SuperPlan: Under Rs. 509 recharge plan Vodafone subscribers get 1.5 GB of 3G/4G internet data for a day, free local, STD and roaming voice calls along with 100 SMSes for a period of 90 days. Vodafone customers also get 100 per cent cashback if they recharge from MyVodafone App. Rs. 149 recharge pack: Under Reliance Jio’s Rs. 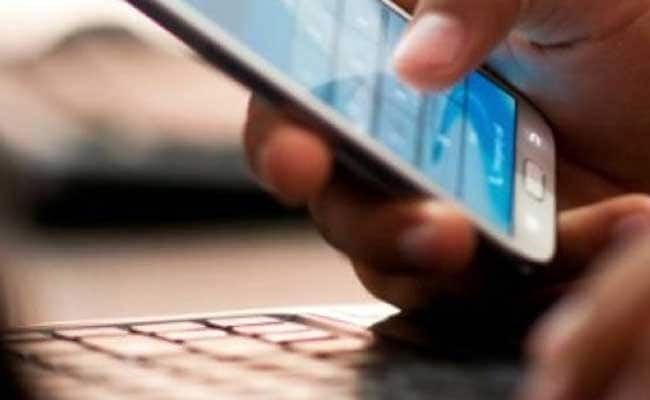 149 recharge pack customers can use 1.5 GB of high speed internet for a day along with free voice calls and unlimited SMSes (100 per day) for 28 days, according to the telecom company’s website – jio.com. Rs. 349 recharge pack: Reliance Jio’s Rs. 349 recharge pack offers 1.5 GB of high speed data for 70 days along with free voice calls and unlimited SMSes (100 per day). Rs. 399 recharge pack: Jio’s Rs. 399 recharge plan offers 1.5 GB of high speed internet along with unlimited free voice calls and unlimited SMSes service for a period of 84 days. Rs. 449 recharge pack: Under this recharge pack customer can enjoy high speed internet, unlimited free voice calls, unlimited SMSes for a period of 91 days. Rs. 1,699 recharge pack: Under this pack Reliance Jio offers high speed internet data along with unlimited free voice calls and unlimited SMSes for a year (365 days).